Smarty is the most prestigiously bred and one of the best athletic cutters to be found. He will give you the hardest stopping, most mellow-minded horses, and cowy babies. His foals are now in Sweden and Canada. Stud Fee: $1000 plus shipping. Tested NEG to the 5 panel test. Breed Safe. Breed Confident. Check out the gorgeous foals and future champions sired by DK SMART MATE: DK SMART MATE BABIES. 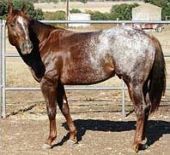 Lifetime Earnings: $51,350, the 2004 Equi-Stat #7 Leading Cutting Sire and an All-Time Leading Cutting Sire, Stallion Offspring Record, ROM Performance Offspring, NRHA Money-earners, NCHA Money-earners, NRCHA Money-earners. 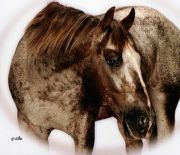 Stallion Show Record, NCHA Cutting Futurity, '82 1st, NCHA Super Stakes, '83 1st NCHA Derby, '83 1st, NCHA money-earner, COA, AQHA Leading Sire, '01 & '02 NCHA Sire, NCHA Earnings: $577,652; COA, Hall of Fame Offspring, SMART CHIC OLENA (NRHA), World Champion Offspring, Reserve World Champion Offspring, NCHA Summer Spectacular Champion Offspring, NCHA Summer Spectacular Reserve Champion Offspring, Top Ten World Show Offspring, Superior Performance Offspring, AQHA High Point Performance Offspring, AQHA Reserve High Point Performance Offspring, ROM Performance Offspring, NRHA Money-earners, NCHA Money-earners, Working Cow Horse Money-earners, Halter Point Earners, Performance Point Earners, The 2004 Equi-Stat #1 Leading Cutting Sire and an All-Time Leading Cutting Sire, The 2004 Equi-Stat #15 Leading Reining Sire and an All-Time Leading Reining Sire, The 2004 Equi-Stat #7 Leading WorkingCowhorse Sire and an All-Time Leading Working Cowhorse Sire. 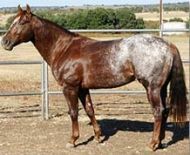 1983/1984 World Champion Jr.Cutting, World Champion Senior Cutting, PCCHA Fut.Champion, NCHA Super Stakes & Bonanza Cutting Finalist NCHA Cert #4878, MW - ROM Sr Cutting, NCHA COA, ApHC Hall of Fame 1996, has won $4,845.89 in NCHA dollars, of which $1,845.89 is used to determine eligiblity for the 2006 point year, and has the following Awards: COA.